Located in the state of Texas, Channelview is a medium-sized city with a population of 40,534 people. According to the most recent Census, 71% of Channelview residents are White, 17% Black and 1% Asian. Additionally, more than a quarter of the population of Channelview are of Hispanic or Latino origin, and 56% of the population also speak Spanish. With an average age of 30 years old, Channelview could be a great place to live for young adults as this age is well below the national average. If you’re considering relocating to any new city, it could be a very discouraging task. However, it could also be a great experience if you are willing to get to know the town before actually living in Channelview, Texas. 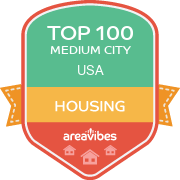 To help you find the best places to live in and around Channelview, AreaVibes has created a livability score using key metrics like amenities, cost of living, education and more. Channelview has a livability score of 76 out of 100 and is ranked #676 in Texas and #3,986 in the USA. This is a phenomenal score, as Channelview ranks well in multiple categories! Based on the rankings for each individual category, Channelview has received high marks for amenities (A), cost of living (B+), weather (A-), education (B-) and housing (A). Regrettably for Channelview, there are some categories for which it does not rank well, this includes: crime (F) and employment (F). Conveniently located amenities and interesting attractions are a great way to continuously enjoy Channelview on a regular basis. Knowing that there are an abundance of amenities and things to do can ensure that you always have access to nearby grocery stores, restaurants and coffee shops. The average school test scores in Channelview are 67%. This far exceeds the national average and ensures that this educational system will provide your children with the skills and the tools they need to thrive. Finding affordable real estate and apartments for rent in Channelview can be tricky. Having said that, this area might be the place to get the best of both worlds. Based on factors like home/rental affordability and appreciation rates, this area has received an above average score in the housing category. Certain items on your wish list like shopping, restaurants, nightlife and proximity to public transportation are all important factors to search for. Having said that, perhaps the most important metric to consider when contemplating a move to Channelview is real estate affordability. Median real estate prices in Channelview come in at $97,900, which is 31.4% lower than the Texas average. The home price to income ratio compares the median home prices to the median household income. In Channelview, the home price to income ratio is 1.8, which is 30.8% lower than the Texas average. Real estate appreciation rates in Channelview are important to consider, as they can act as a guide to determine if your new home purchase will be a solid investment going forward. During the last twelve months, the appreciation rate for Channelview homes comes in at 7.7%, and the 5 year appreciation rates were 10.7%. How Do You Rate The Livability In Channelview? One of the things I’ve always loved about living in Channelview is that it’s one of those cities that only the locals tend to know about. It’s a typical suburb but it’s fairly small, which is really nice if you like the small time feel of a city, like I do. I love that I can get to know my neighbors so well and that I can trust my neighbor to watch my house whenever I go on vacation. There are a lot of new homes going up in Channelview, and from what I’ve seen they’re really nice homes in the best areas of Channelview. It’s bringing even more of a family-friendly feel into the town. The small schools? They’re amazing. Knowing that your child is going to be in a small-sized class? There’s nothing better for a parent, honestly. There are some great restaurants here but for serious socializing you’ll have to drive into the city, which is generally about an hours commute. There is, however, a good strip mall that’s been built so now it’s a lot easier to get your shopping done locally. Source: The Channelview, TX data and statistics displayed above are derived from the 2016 United States Census Bureau American Community Survey (ACS).